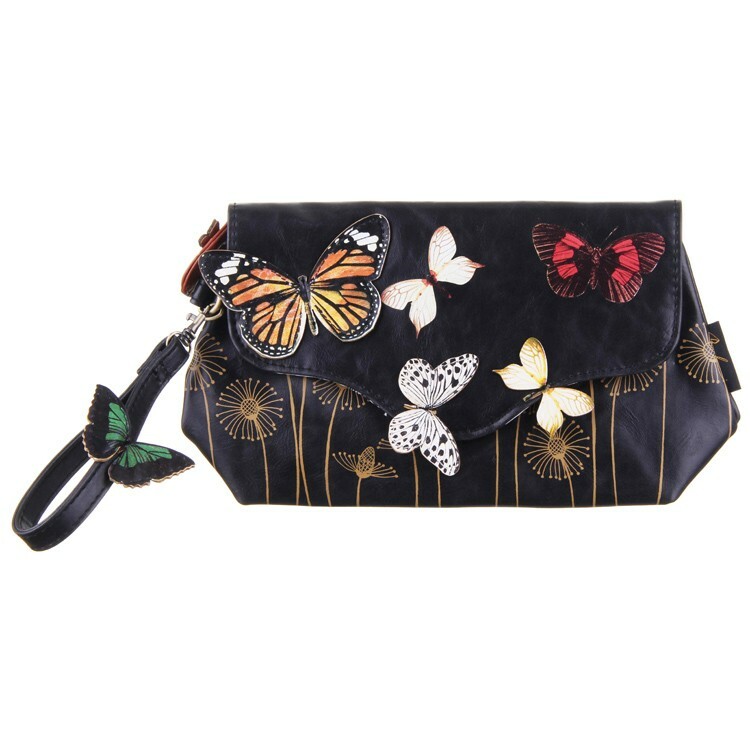 This butterfly make up bag from the Bohemia Collection by Disaster Designs is the trendsetters answer to chic take-me-anywhere make up storage. This stylish bag is the perfect size for all your daily make up and more. Keep all your favourite bits together in this fantastic grab and go bag and even if you miss that pesky alarm in the morning you can grab this faithful little fluttering butterfly bag and you're set to face the world. The bag features a flap over design with a magnetic popper and a single zipped compartment. There is a small handle on the corner of this bag giving it a clutch bag like styling.